Last weekend we were road trippin.’ Nothing too far—just out and about to fun places in Wisconsin. 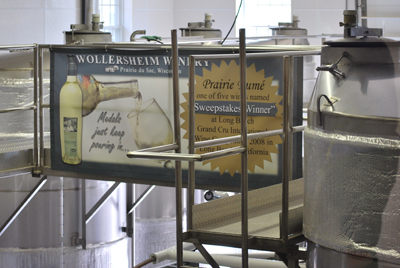 Our first stop was Wollersheim Winery in Prairie du Sac. This is a quintessential winery, combining both history and modern technology for award-winning wines. Think (and taste!) Prairie Fumé…oh, so good! Wollersheim does a super job promoting their product. They design beautiful labels. They maintain a fun Facebook presence. 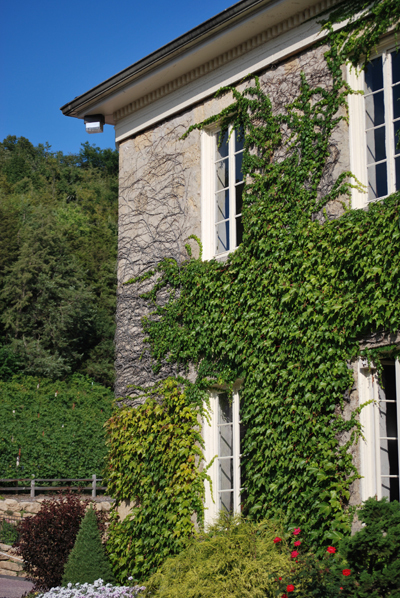 And they proudly use their national historic buildings to create the essence of winery experiences. Next stop was the Dane County Farmer’s Market in Madison. I love this market! Food, flowers and street musicians make Saturday mornings on the Capitol Square so fun. 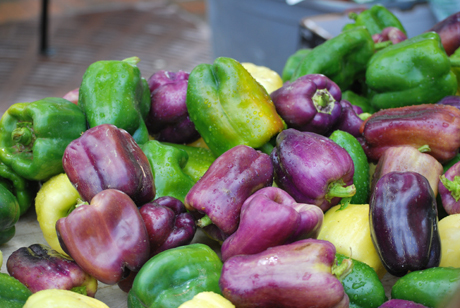 You can sign up here for a weekly eNewsletter on the latest news and seasonal produce. And lastly, coming back to the wine scene again, we stopped at the Wine and Hop Shop. We’ve got all these grapes, see, and we’re trying to learn the fine art of homemade wine. Or is a science? 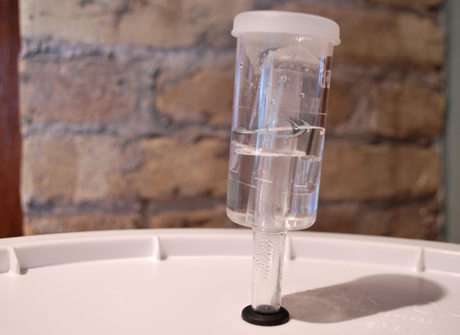 Here’s a question for all you enologists—are we supposed to use an airlock during primary fermentation? Or not? Should we be stirring? And how long should the primary fermentation be? Oh, so many questions. I need a winemaking class from the shop’s Mitchell Vineyards. In the meantime, it’s interesting to watch CO2 bubbling around in the thingamajig.